Any guide to making cocktails will probably list the ingredients and flourishes you'll need to make a particular type of drink whether it be a Cosmopolitan, a martini or a margarita. However, all cocktails are not created equally! The right ingredients, equipment and presentation are key in making any cocktail look and taste magnificent. The steps outlined here are the essential steps you need to make just about any type of cocktail and to impress your friends with the quality of the drink you've served! Next time you look up a cocktail recipe, this guide to making cocktails will help you prepare each cocktail exactly right. 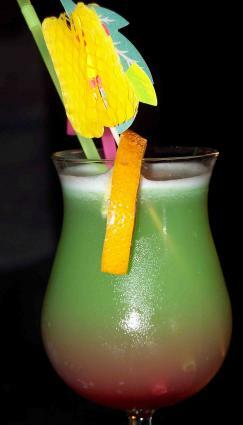 Making cocktails involves a careful combination of the right ingredients, as well as an experimental nature. The following tips will help ensure you are prepared for cocktail preparation when an impromptu party arises. There are a few different types of alcohol that belong in the arsenal of the burgeoning cocktail maker. Nearly every cocktail will contain one of these ingredients. Start out by buying vodka and rum. Some of the simplest drinks, from a rum and Coke to a vodka tonic are made using primarily these ingredients. Un-spiced light rum will work best, and a high quality - if not top-shelf - vodka should be in your liquor cabinet. Gin is a great mixer for classic martinis, or as a "silver bullet". Try Gordon's or New Amsterdam for a great taste that won't break the bank. American whiskey and Scotch whisky should be kept around as well, but bear in mind that sour mash Kentucky whiskey like Old Crow is very different from Jack Daniels Tennessee whiskey, and these in turn differ greatly from the flavor of a good scotch such as Johnnie Walker Black Label. When in doubt as to what you're buying, look for the letter "e". Scotch whisky is spelled without the "e", while American and Canadian scotches have the "e". Of course, silver tequila is a given for the home cocktail bartender. Your guests will want Coke for their rum, tonic for their gin, soda for their scotch and a variety of juices and flavors for their other mixed drinks. Prepare in advance so you'll know what to buy. Presentation is everything. As any guide to making cocktails will tell you, most mixed drinks are garnished with something. It may be as simple as the salt on the martini glass or as elegant as a lemon twist on a fancy cocktail stick. Anything you can do to keep your mixed drinks fresh and interesting will be remembered by your guests. Start out with the cocktail fruits and vegetables. For example, cocktail pickles look great in a pickletini, but few people have the foresight to pick some up. Slicing the lemon and lime peel thinly and shaking it up with the rest of the ingredients will impart an interesting look and splash of flavor to a gin and tonic or a Cosmopolitan. Use fancy straws - short ones for martini or lowball glasses, longer ones for highball glasses - and complement the color of the straw with the color of the drink. Add a spring of mint or a drop of grenadine. The little things truly count when you're making a great cocktail. A shot glass and an old mug won't suffice to shake and share your drinks. Any home bartender should have at least a pony-jigger to help measure out the correct amounts of ingredients and a shaker to work the ingredients together. If you use a cocktail shaker with a strainer, you'll be sure to mix the ingredients together with precision instead of haphazardly pouring everything together with some crushed ice and hoping for the best. Boston shakers can be completely filled with ice and usually come with additional strainers, and Cobbler shakers usually come with strainers attached. A long handled bar spoon is another essential you'll need for drinks that are stirred instead of shaken. Using these tools properly will ensure an excellent drink. Why? Think about how many times you've been served a drink with too much ice that tasted watery; too much vodka, so it was nearly undrinkable; drips down the side and a boring old olive resting on a wooden toothpick tipped idly into the glass. These drinks taste, feel and look about as good as the stir-it-with-your-finger preparation method adopted by many. Some extra time, effort and a little bit of money will ensure that your cocktails are always spectacular. Here are a few basic rules of thumb about mixing. Clear cocktails are usually stirred. Cloudy cocktails are usually shaken. You can also shake any cocktail that calls for a little head on the top, such as a margarita. Ask your guests whether they prefer their martinis shaken or stirred. Frozen cocktails are mixed in an electric blender. It also doesn't hurt to have a few good recipe guides handy.